The funeral service will be streamed live for those who are unable to attend. 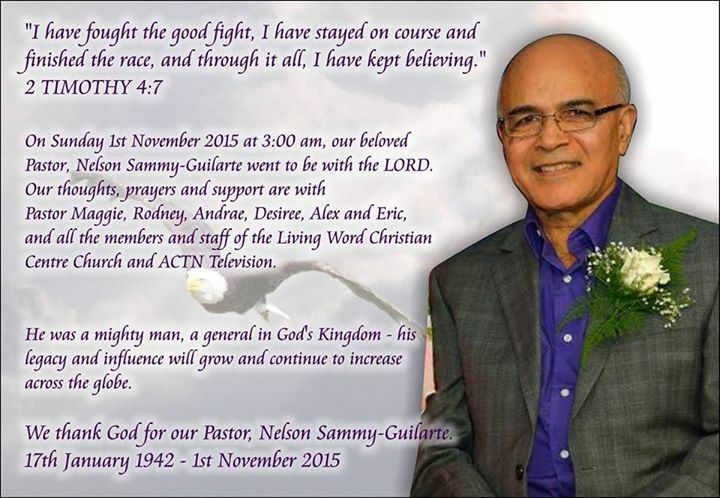 The funeral arrangements for Pastor Nelson Sammy-Guilarte, who passed away suddenly on Sunday morning, have been finalized. It will be held on Friday 6th November, 2015 at the Faith Centre Assembly, Prince of Wales Street, San Fernando. UPDATE: In lieu of flowers, a special offering will be collected towards LWCC’s Annual Christmas OutReach for Needy Families. The family has also requested that celebratory colours be worn at the funeral. A large crowd is expected at the celebration of his life and times which will begin at 10:00 am. Pastor Sammy complained of feeling unwell around midnight Sunday morning, and was rushed to the nearby Cross Crossing Medical Centre but was pronounced dead at 3:00 am on Sunday morning. He was renown for his elaborate and beautiful backdrops for his annual Christmas television programs held at a time when Trinidad and Tobago had just one television station. These programs, presented by his wife Pastor Maggie and himself, brought Christ and enlightenment to many. Meanwhile, there will be a time of Prayer and Fellowship this Tuesday and Wednesday evenings at the church compound, 53 B Circular Rd, San Fernando, from 6:00 – 8:00 pm. There will be no official services at these gatherings but prayer, fellowship and remembrance of the great life he lived. Those requiring further information are asked to call 868-652-4855 between the hours of 8:30 am and 3:00 pm or 868-620-5351 outside these times. 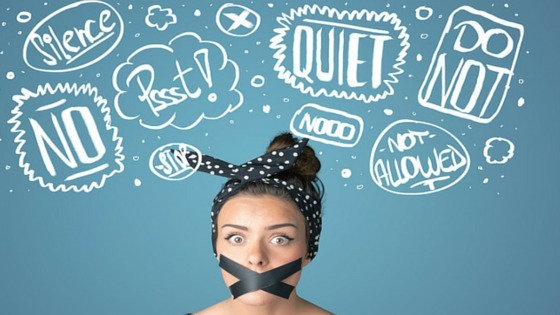 Silence is the Most Powerful Scream! 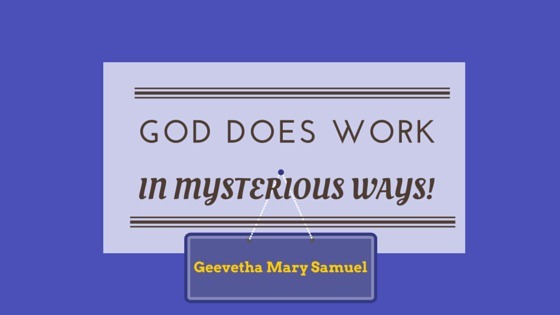 God Does Work in Mysterious Ways! Meeting Jesus Christ on the Streets!